*Madison, Wisconsin – The National Conference of Bar Examiners (NCBE) and the Council on Legal Education Opportunity, Inc. (CLEO) are pleased to announce a new collaboration in support of their shared goal of increasing diversity and inclusion in the legal profession. 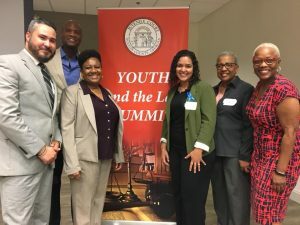 NCBE has provided funding to bolster CLEO’s programs that help individuals from traditionally underrepresented racial and ethnic groups and disadvantaged communities achieve success in law school and prepare to take and pass the bar exam. For over 50 years, CLEO has successfully contributed to increasing the number of lawyers from diverse backgrounds in all sectors of law. The National Conference of Bar Examiners, headquartered in Madison, Wisconsin, is a not-for-profit corporation founded in 1931. NCBE develops the licensing tests used by most states for admission to the bar. NCBE stakeholders and constituents include state Supreme Courts, state attorney licensing boards, attorneys, and law school deans. NCBE is governed by a national board of trustees consisting of judges, bar examiners, and bar admission administrators. Approximately 71,000 law school graduates sat for the bar exam in 2017. On October 26, 2018, NCBE President Judith A. Gundersen, NCBE’s Board of Trustees, and NCBE Diversity Issues Committee Chair Bryan R. Williams met at NCBE headquarters with CLEO Director of Prelaw Program Operations Bernetta Hayes and CLEO Board of Directors member Malcolm L. Morris to formalize its collaboration. The Department of Justice (DOJ) recently recognized the 13th annual World Elder Abuse Awareness Day by hosting an event in Washington, DC. 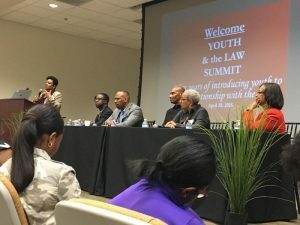 Atlanta’s John Marshall Law School (AJMLS) Professor Lisa Tripp was invited to attend and speak at the event, where next steps in seeking nationwide elder justice were announced. Tripp is a consultant to the Centers for Medicare and Medicaid Services (CMS), and is a frequent speaker and contributor at conferences around the United States and abroad. Professor Tripp’s research and scholarship focuses on areas of U.S. and international law, while on the domestic front, she is an expert on federal regulations governing health facilities. With this expertise, Tripp spoke at the DOJ event about the federal government’s health and safety regulations and how those regulations are enforced. The Law School thanks Professor Tripp for her contributions and ongoing efforts to help protect and empower our seniors. I was afforded access to a plethora of legal opportunities while at John Marshall. The rigors of the classroom paired with knowledgeable and resourceful faculty challenged my work ethic while molding my legal mind. As a non-traditional student I sincerely value John Marshall believing in me and assisting in my being prepared for the bar and work as an attorney. 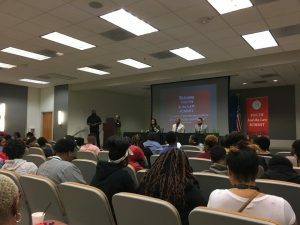 Atlanta’s John Marshall Law School (AJMLS) and the Office of Pro Bono Outreach and Externships (PBOE) celebrates Pro Bono Month this October as part of Georgia’s Pro Bono Month and National Pro Bono Week. Year round, the AJMLS Pro Bono Program reinforces the mission of the law school – promoting the development of a student body and faculty with a strong social conscious and dedication to improving the legal system and society. Would you like to coach a high school Mock Trial Team? Please attend the informational meeting on Wednesday, October 1, 2014 at 1:00PM in Room 302 or email Travis Foreman at toforeman@johnmarshall.edu. Meets every Wednesday in Room 302 at 5:15PM. 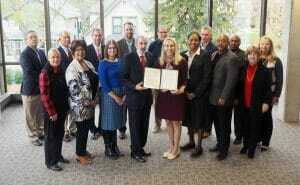 Is looking for students to assist attorneys assisting victims of sexual assault. 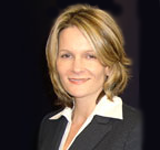 Interested students should contact Ms. Seterria Brodnex, Victim Assistance Attorney: 770-497-9122 Ext. 31. Walshe goes on to say: Public defenders today are dealing with caseloads that far exceed the recommended federal maximums established in 1973, and they’re cutting back on case spending because of it. “No matter how zealous, talented or passionate an attorney is,” says Rapping, “they cannot perform at their best when they are overworked and under-resourced.” Pit that lawyer against a team of high-powered attorneys with their accompanying “expert” witnesses, investigators, scientific tests, gloves and all, and someone who relies upon the Sixth Amendment doesn’t stand a chance. Read the full article at The Guardian. An in-depth profile of Professor Rapping can be found on the law school’s faculty page. In a recent article from CardHub, Atlanta’s John Marshall Law School professor Robert D’Agostino and other legal experts answered common questions individuals have regarding bankruptcy. CardHub offers an easily-accessible search engine and relevant articles for individuals to use to find a credit card that suits their personal and financial needs. However, due to the increase of bankruptcy filings and subsequent increase in societal reliance on credit cards, CardHub sought out legal experts to answer general questions about bankruptcy in an effort to educate its audience. To view the entire article and read what other experts said about bankruptcy, click here. The school would like to congratulate AJMLS Alumni Board Chair, Neera Bahl (’01), for recently receiving the “Glory of India” award from the India International Friendship Society (IIFS), an organization engaged in helping achieve India’s targeted economic growth and modernization. This honor is awarded to individuals in India and abroad, who have glorified the country with outstanding contributions in their specialized fields. Neera practices immigration law in Atlanta, Georgia. We are extremely proud for Neera and wish her the best as she continues to represent our school and the entire legal community with honor and professionalism. Congratulations, Neera! AJMLS would like to recognize members of the Asian Law Student Association, who volunteered at the 2011 National Asian Pacific American Bar Association Conference in Atlanta recently. They are: Caroline Yi, Jason Kim, Thomas Hwang, Yoohwa Seong, Suzette Guerra, Crystal Tran, and Wellington Tzou. Thanks to them and to all of our students who represent us so well in professional settings. Law Admissions Lowdown – How Important are Extracurricular Activities? U.S. News & World Report gives the “law admissions lowdown” on extracurricular activities in a recent article. Author, Shawn O’Connor, disputes the notion that law school admissions are solely based on LSAT scores and GPAs. “While these are the two single most significant factors in the admissions process, other factors, including extracurricular involvement, application essays, and recommendations, can also be very important,” he says. O’Connor reveals four areas to consider before choosing an extracurricular activity: quality not quantity, not all activities are created equal, start early and be selective, and law-related activities are not essential. For a detailed look at each point, clickhere. On behalf of the AJMLS Department of Recruitment and Marketing and its Student Ambassadors, we would like to thank everyone for your generous donations and candy gram purchases. We collected more than $700 for the family. Your commitment to helping our Adopt-A-Family program is sincerely appreciated. Because of your generosity, we were able to further our mission in bettering the lives of children across the city of Atlanta. The pro bono partnership of Atlanta Legal Aid and Kilpatrick Townsend handles adoptions for the Grandparent/Relative Caregiver Project. 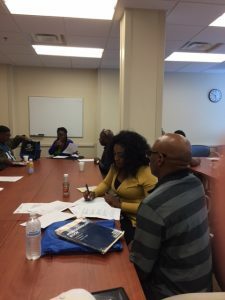 Our school and volunteers from many firms expand the capacity of Atlanta Legal Aid’s staff and enable many more grandparents and other care-giving relatives to provide stable, loving homes for children whose parents cannot care for them. Thanks, again, for generously supporting our efforts! AJMLS is continually impressed with the caliber of students attending the school. To add another achievement to the long list of AJMLS scholars is Koji Noguchi’s recent scholarship awarded by Microsoft Corporation (Microsoft) and the Council on Legal Education Opportunity (CLEO). The CLEO-Microsoft Intellectual Property Scholarship selects only four recipients each year for this honor. The competitive nature of the application process makes Koji’s accomplishment even more impressive. To acknowledge his achievement, the CLEO will be highlighting Koji along with his fellow scholarship winners in the January edition of their “Your CLEO” e-bulletin. On behalf of the school, congratulations on your selection and continued success in law school! On April 16, 2011, the Georgia Association for Women Lawyers (GAWL) held its 18th Annual Charity Auction benefitting the GAWL Foundation Scholarship at Art Space International in Atlanta, Georgia. The event funds 100 percent of the scholarships that the Foundation awards each year to deserving, public interest- minded, female law students in Georgia. Among the eight GAWL Foundation Scholarship finalists in the state, three attend Atlanta’s John Marshall Law School: Ashley Gholamhosseini, Audrey Holliday, and Danielle Long. The Charity Auction included a live and a silent auction featuring art (paintings, photographs, sculpture), pottery, jewelry, vacations, and many other luxury items and baskets. Several JMLS professors supported the GAWL Charity Auction — including Lee Adams, Kathe Burch, Browning Jefferies, Liza Karsai, Lance McMillian, and Dan Piar — who donated or purchased items to help GAWL raise scholarship funds. Also, GAWL was fortunate to have about 20 students, graduates, and friends of AJMLS volunteer to help with the auction. These volunteers included: Andria Allen, George Boone, Matthew Dials, Kara Foskey, Ginger Fowler, Greg Gelpi, Jenn Gore, Ginny & Ansley Grigsby, Barbara Henderson, Megan Hodgkiss, Kareemah Lewis, Amber O’Connor, Susanne & Kurt Tarter, Sharee Tumbling, Mecca Waddell, Elizabeth Young, and Amy Zapatka.